A science teacher is being praised as a hero after tackling a male student armed with two handguns at a suburban Indianapolis middle school Friday morning. 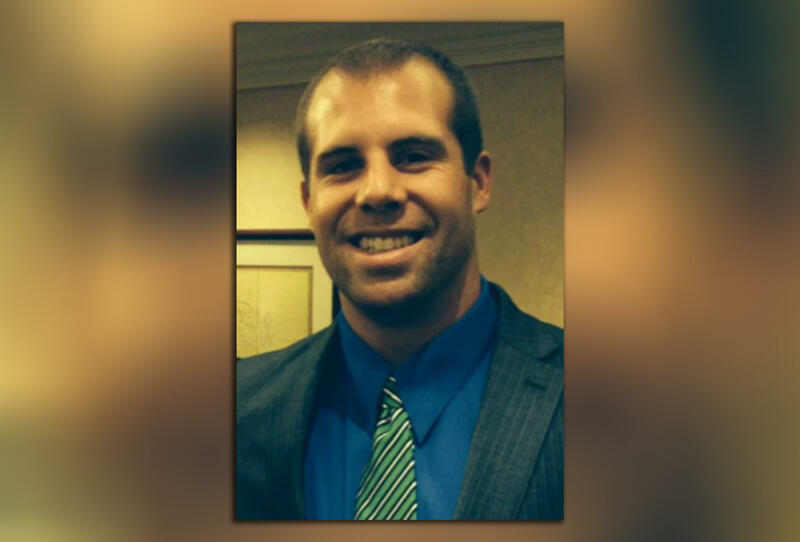 A student said he watched Jason Seaman run toward the gunman and tackle him to the ground after he fired several shots into a classroom. "We were all hiding in the back of a classroom behind some desks, then [Seaman] was yelling to call 911, to get out of the building as fast as we could," the student told CBS affiliate WTTV. The student hailed Seaman, who is also a football coach, as a hero. The alleged shooter is being held in police custody while the teacher and a 13-year-old student are hospitalized with gunshot wounds. Seaman was shot three times: once in the stomach, hip and arm. The former college football player who doubles as the middle school football coach is being hailed as a hero for putting himself between his students and the bullets. "I want to let everyone know that I was injured but am doing great," Seaman said in a statement to WTTV provided by a friend. "To all the students, you are all wonderful and I thank you for your support. You are the reason I teach." "What do you think about the sacrifice Mr. Seaman made?" CBS News asked seventh grader Karen Cantor-Reyes. "I have no words because it was such an amazing act of caring," she said. Police said the shooting at Noblesville West Middle School occurred around 9 a.m. Friday. Seaman and a 13-year-old girl were injured in the attack. The student, who asked to remain anonymous, said the teacher's actions likely prevented tragedy. Seaman's brother, Jeremy Seaman, told The Indianapolis Star his brother was shot three times and underwent surgery. He said he was conscious after the shooting and spoke with his wife, telling her he was OK.
Indiana University Health spokeswoman Danielle Sirilla said the teacher was taken to IU Health Methodist Hospital and the wounded student was taken to Riley Hospital for Children. This is the 17th school shooting this year and fourth of the month. Authorities referred to a prompt and heroic response but didn't confirm accounts of the teacher tackling the student or describe the role of the resource officer who was stationed at the school. When asked to elaborate on his praise of response, Indiana State Police Superintendent Doug Carter said: "Wait 'til one day we can tell you that story. You'll be proud of them, too." Noblesville, which is about 20 miles northeast of Indianapolis, is home to about 50,000 people. The middle school has about 1,300 students from grades 6-8. The school's academic year was scheduled to end next Friday. CBS News' Adriana Diaz contributed to this report.